Update Jan 25, 2019: View Department of Lands and Forestry employees are lobbying the government to delay cleanup of Boat Harbour in Halifax Examiner. 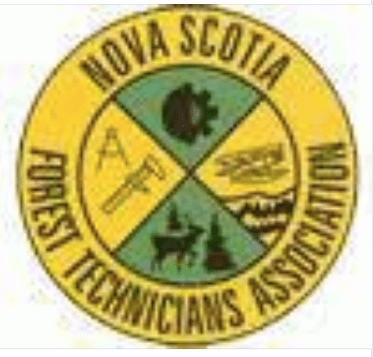 “The Nova Scotia Forest Technicians Association is calling for their members to advocate for the extension of the Boat Harbour Act. They also provided a template letter for their members to use, if they wish. 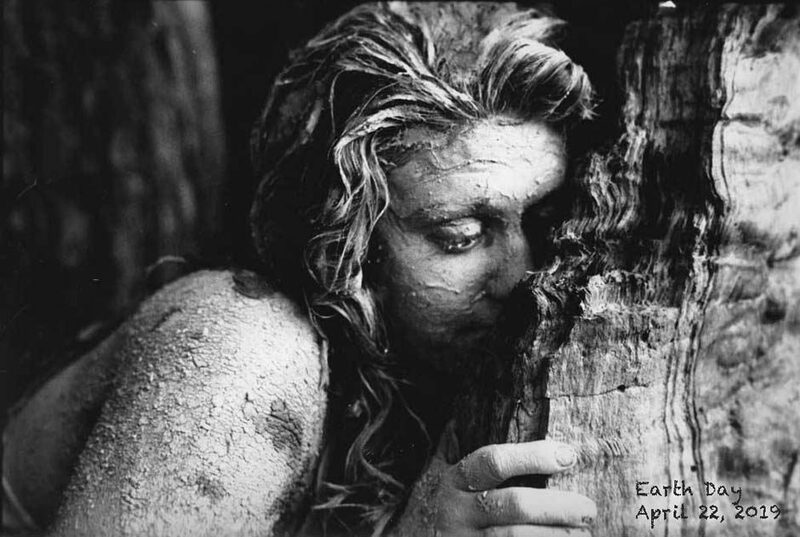 “Personally, I believe the five years afforded to Northern Pulp to address the issue was enough time. It is true that much of the current structure of forestry in Nova Scotia hinges on Northern Pulp but if this deadline is not met those in the industry should not be mad at politicians and forest ecologists but at Northern Pulp (and their Indonesia-based, billionaire owners) itself for their neglect to come up with an alternative when they had the chance. “The use of Boat Harbour as an effluent dumping ground and the mistreatment of the Pictou Landing First Nation is widely considered to be one of the worst cases (if not THE worst – tied with Africville) of environmental racism in Nova Scotia’s history. We have to be better than this in 2019. “Please show your support to Premier Stephen McNeil and Minister Iain Rankin for their steadfast resolve and stated adherence to the original deadline. They have both been on the right side of this issue since the Act and they have my thanks for that. The letter is NOT posted on the NSFTA website. I assume ML received the letter as a member of NSFTA. One might hope the Directors are not civil servants and possibly in a Conflict of Interest in regard to this letter to members. The Association certifies Forest Technicians, a role which would seem to put the Executive/Directors in a Conflict of Interest in in regard to this letter to members. I am in full favour of civil servants (if that’s who some of the Directors of NSFTA are) speaking out against government policy as private individuals if in good conscience one feels he/she is compelled to do so, however, a senior official of an organization such as this advising all members to do so is a different matter. How might they view an application for certification from an individual who had been well known to hold a different opinion? Hopefully NSFTA will speak to the matter publicly or at least to its members. Thanks, ML, for speaking out. WWNS added this link, giving info from past AGMs. Tom Loveitt: Any Political Leader regardless of Federal, Prov or Municipal that supports extending BH is ending their political career quickly. 50 years of lies, broken promises and injustice is coming to an end. People have been asking about past promises and discussions… here is our story. 1966 – Canada, as legal owner of Pictou Landing First nation’s reserve lands adjacent to Boat Harbour, issues Order-in-Council No. 1996-1669 transfers property rights associated with Boat Harbour to Province of Nova Scotia without proper authorization under Indian Act. Transfer has no legal effect. 1967 – Province builds pipeline to Boat Harbour from Scott Maritimes new mill and begins “treating” effluent from the mill at Boat Harbour. Effluent interferes with PLFN’s aboriginal and treaty rights. 1991- Province acknowledges that it has no right to interfere with waters of Boat Harbour. Province promises to close Boat Harbour Treatment Facility when agreement with Scott Maritimes ended on December 31, 1995. 1992 – Province repeats promise to close the Boat Harbour Treatment Facility on December 31, 1995. 1995 – Province decides to allow Scott Maritimes (then owner of the mill) to operate Boat Harbour Treatment Facility for 10 more years. Gives Scott Maritimes a lease and an indemnity agreement. 1997 – Province promises to transfer treatment facility land at Boat Harbour to PLFN once treatment facility is closed and remediated. 2000 – Agra Simons (engineers hired by Province and Kimberly Clark – then the new owner of the mill) identifies options for treating effluent including AST technology on site next to mill with pipeline to Pictou Road just off Lighthouse Beach. Cost estimate is $67 million. 2001 – Kimberly Clark agrees to build a short by-pass pipeline within Boat Harbour by December 31, 2005 so dam at mouth of Boat Harbour can removed returning Boat Harbour to a natural tidal state and so Boat Harbour can be cleaned by Province. Treatment facility would remain in place at upper reaches of Boat Harbour and effluent piped through by-pass pipeline and discharged at mouth of Boat Harbour until 2030. In exchange PLFN agrees not to oppose treatment facility operating until December 31, 2030. 2002 – Without consulting with PLFN, without waiting until the lease had ended (still more than three years to go to December 31, 2005) and without waiting to make sure the promised by-pass pipeline was built, the Province extends lease for Boat Harbour Treatment Facility to year 2030 – instead of ending on December 31, 2005 lease will now end on December 31, 2030. 2003 – Kimberly Clark/Province’s engineers “discover” that by-pass pipeline is not feasible due to environmental concerns (eutrophication) from effluent being pushed back into Boat Harbour with the incoming tide. Instead of revoking the lease extension given to Kimberly Clark – which was only be granted because PLFN agreed not to oppose the treatment facility if Kimberly Clark built the promised by-pass pipeline by December 31, 2005 – the Province leaves the lease extension in place. 2005 – Kimberly Clark misses December 31, 2005 deadline to build by-pass pipeline and Kimberly Clark and Province ask PLFN to extend the deadline to build the by-pass pipeline to December 31, 2008 to give more time to find another solution. 2006 – PLFN agrees to extend deadline for building the by-pass pipeline to December 31, 2008. 2008 – As December 31, 2008 deadline approaches, PLFN asked by Province and Northern Pulp (then the new owner of the mill) to extend the deadline again. PLFN refuses and insists treatment facility be closed. Province agrees in letter of December 4, 2008 to close the treatment facility but says this will take time and offers to compensate PLFN for waiting until new treatment facility closes. Northern Pulp misses December 31, 2008 (second deadline) to complete by-pass pipeline. 2009 – PLFN repudiates 2001 agreement because Northern Pulp has not built by-pass pipeline as promised despite extension of 3 years. Province does not revoke lease extension. Province appoints negotiator to negotiate terms of continued use of Boat Harbour Treatment Facility while new treatment facility is built. In June 2009 general election PC government defeated and NDP elected. Province discontinues negotiations and decides to “study” the matter. 2010 –Amec engineers report on options for effluent treatment. 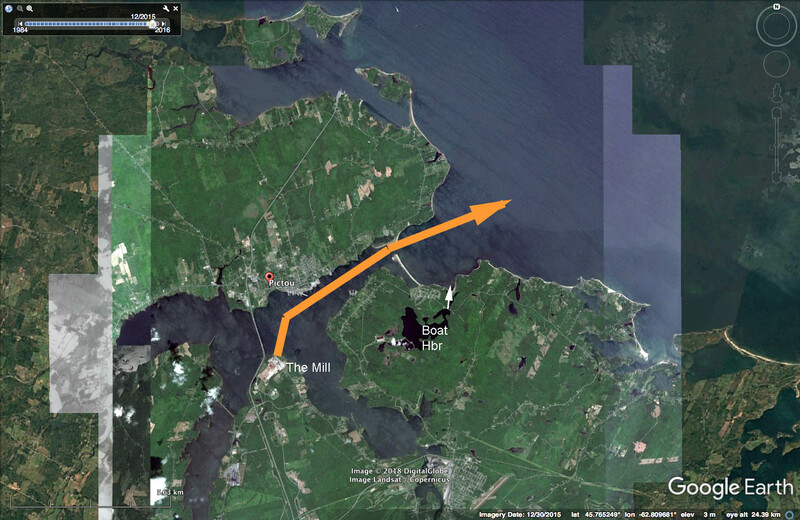 Includes same option identified by Agra Simons in 2000 – AST system on mill site with pipeline discharge point off Lighthouse Beach. Cost of AST treatment facility estimated at $91 million. Province breaks promise to PLFN and decides not to close Boat Harbour Treatment Facility. Instead lends $75 million to Northern Pulp to buy 475,000 acres of forest land for long term benefit of Northern Pulp and then pays another $16.5 million to buy 55,000 acres of the same 455,000 acres from Northern Pulp for a total of $91 million paid to Northern Pulp in the deal (see https://novascotia.ca/natr/land/neenah-2010/). 2011 – ADI engineering, hired by PLFN, reports that adding tertiary (third level) treatment to AST system at mill site was feasible with cleaner water and potential cost savings if shorter pipeline used. 2014 – Existing effluent pipeline (installed in 1967) finally leaks at Indian Cross Point on lands known to be Mi’kmaq burial grounds. Mill shuts down and PLFN blockades site. In June 2014 Province agrees to negotiate a closure date for Boat Harbour Treatment Facility with PLFN and to fix the closure date in legislation so that it cannot be changed. Northern Pulp is fully aware of this agreement. 2015 – Boat Harbour Act passes in March 2015. Fixes January 31, 2020 as date for closure of Boat Harbour Treatment Facility. 2017 – Northern Pulp and Province hire KHI engineers to design new treatment facility – 4 ½ years after Province agrees to close Boat Harbour Treatment Facility and 2 ½ years after Boat Harbour Act becomes law. KHI recommends AST system at mill site – same system Agra Simons identified in 2000 and Amec in 2010. Province dismisses PLFN suggestion to add tertiary treatment as identified by ADI in 2011. 2019 – By January 23, 2019 Northern Pulp has not filed an application for environmental approval of new treatment facility. This entry was posted in Pulp & Paper, Social Media. Bookmark the permalink.